Development Synergy: Public Speaking: How To Improve Your Skills Using Your Mirror! Public Speaking: How To Improve Your Skills Using Your Mirror! 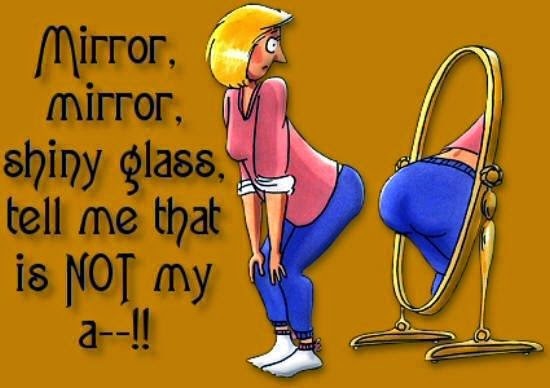 Mirrors are very vital to human existence :-). The reason is obvious I guess? Otherwise, I would like to know/learn what you have been using your mirror for? Well, in addition to the existing functions you use your mirror for, your mirror could help you improve your public speaking skills. How is this possible, you will ask? The good news is that, you could use your mirror to assess how you are doing. It is always advisable to practice your presentation before meeting your audience. In order to do this, your mirror could help you know how you are doing during your practice. First, stand in of your mirror, imagine you have your audience in front of you, and start speaking like you are at the event...based on what you have prepared for the event. How you are speaking - if you are new in this area, you will notice that you are either stuttering, or speaking too fast or too slow...whatever the case may be, as you continue to practice, you have the opportunity to evaluate how you speak and improve. How you gesticulate - The way you gesticulate while speaking at events, is very important. It is important that you own the stage or podium at that point. Through this method, you may want to walk around the stage, if there is room for that (this is however, depending on the setting of the place), rather than stand at a corner. You will also notice if you are jittery. Although, you may not completed notice if you are jittery if you are assessing your self by your self. You may only see the signs. How you move your hands while speaking is also important. You need to ensure that you are well composed. An opportunity to compose yourself if you notice that you do not feel composed - Having assessed your performance in front of your mirror, you may want to practice it all over again, to improve and correct any gaps you may have noticed. I hope these tips help, at least for the start of your journey to public speaking. Please note that you have to be well prepared and have content to share in addition to this. I am sharing this because it has worked for me and I hope it works for you too!